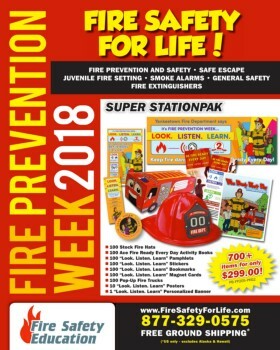 Helps children and parents plan a safe escape in case of a fire. Discusses how to check the door for heat, crawl low below smoke and have two ways out of every room. Addresses useful fire facts to keep safe. Explains stop, drop, and roll. Details additional tips to be "Ruff" and Fire Ready. 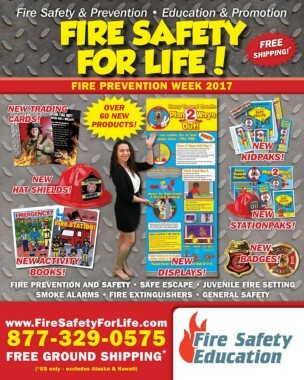 Our new FPW2017 card features Red the Fire Dog and this year's theme "Every Second Counts - Plan 2 Ways Out! The card goes through the steps of how to have a safe escape during a home fire. Explains how to check the door for heat, use a second exit, crawl low below smoke and to never hide from firefighters. Be "Ruff" and Ready with Red's Useful Fire Facts that remind kids to know how their smoke alarm sounds, to have a fire escape plan, a safe meeting place, two ways out and practice home fire drills. The card's concluding message is not only important, but memorable, too: Think First! Stay Calm! and Call 9-1-1!.